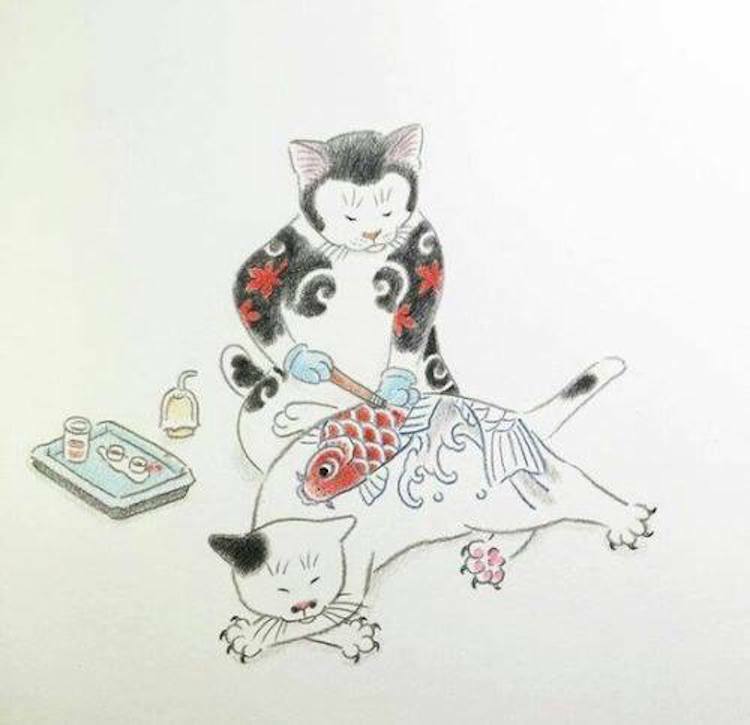 Kazuaki Horitomo is a California-based Japanese artist who combines two of his great passions – tattoos and cats – into one. As an illustrator and tattoo artist, Horitomo is steeped in the Japanese tradition of tebori (a technique of tattooing by hand) and his illustrations reflect that. 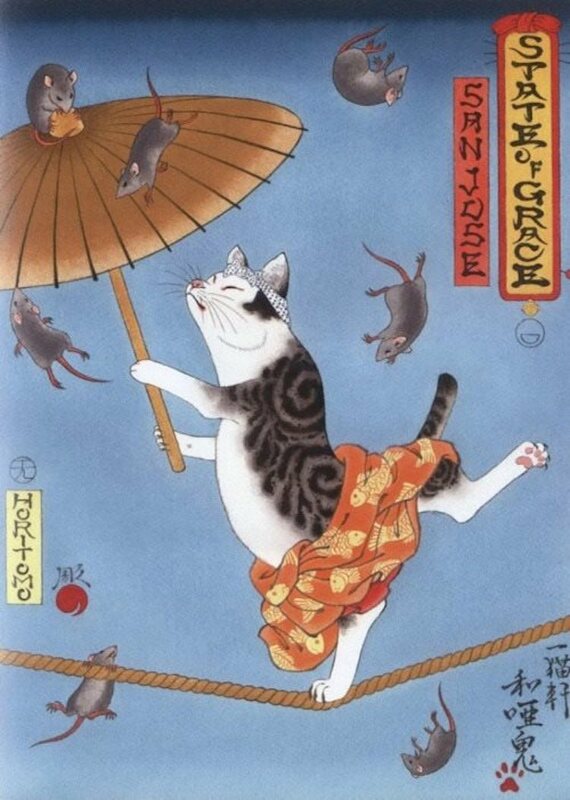 Some of our favorites works are the humorous and surreal depictions of cats performing tebori on other cats. 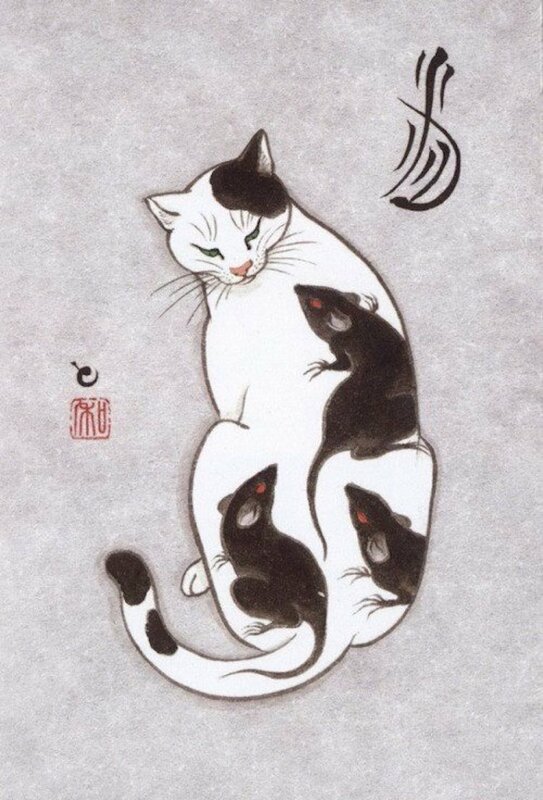 Horitomo’s brand Monmon Cats derives its name from monmon, the old slang word in Japanese for tattoos. Horitomo currently works at State of Grace Tattoo in San Jose. But if tattooing isn’t your thing, you can also pick up his book, or buy prints from his shop. Or you can just follow him on Instagram. 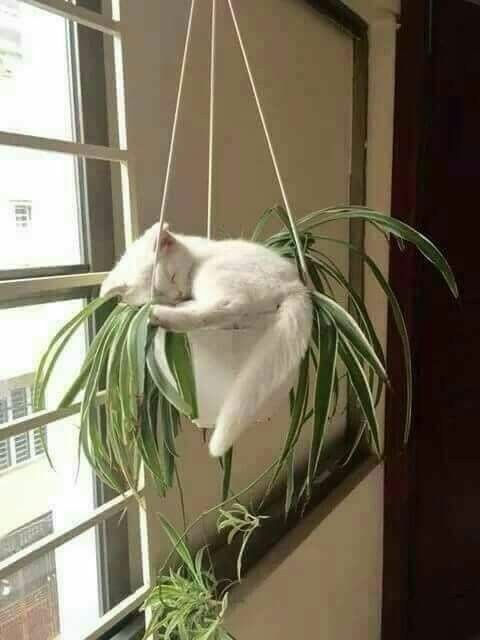 From CLC (Cat Lovers Community), we have a passel of cats that can sleep anywhere. I’ll again show five, but there are 18 at the site. The road signs in front of Carolina Rediviva Library in Uppsala have something unusual: cats. On closer look, you might notice the adult cat leading kittens has no tail. He isn’t just an ordinary bobtail cat. 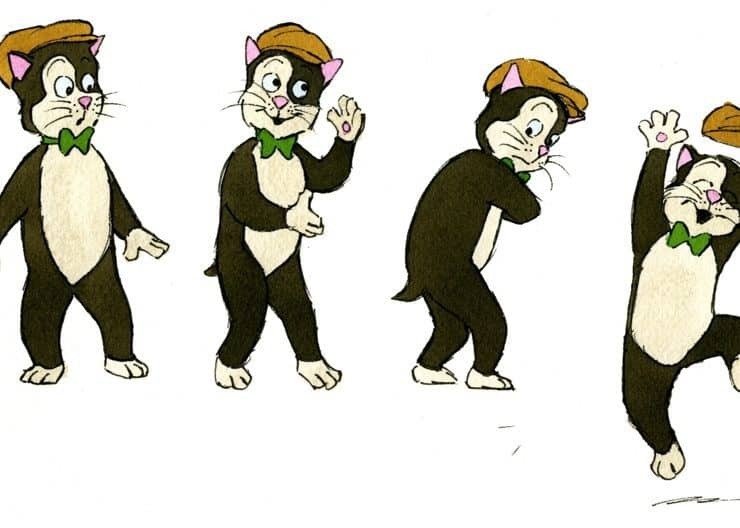 He’s Pelle Svanslös (“Peter No-Tail” in English), a popular character from a children’s book series with the same name. The Pelle Svanslös series—there are 12 books in total—was written by Gösta Knutsson between 1939 and 1972. As his name suggests, Pelle has no tail. A rat bit his tail off when he was a kitten. 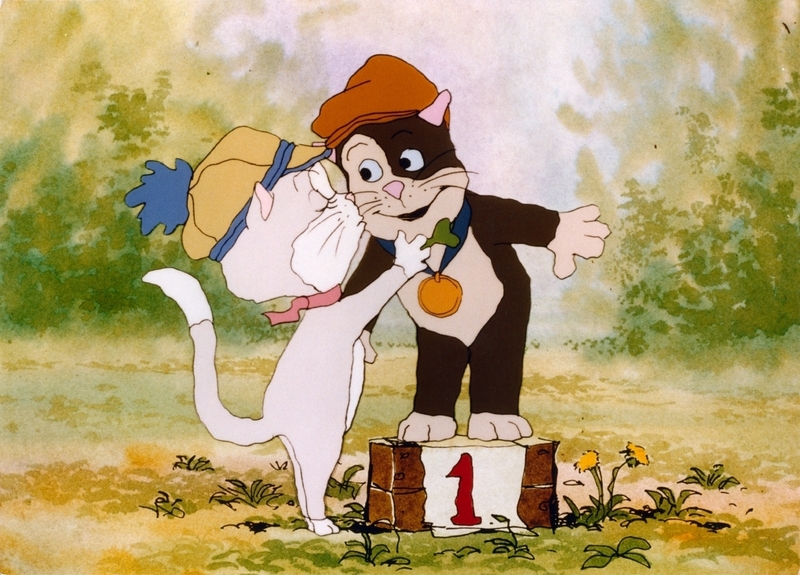 But despite this mean mishap, Pelle grows into a kind-hearted young cat. He has been loved by many Swedish children for decades. Pelle and his feline friends live in Uppsala, Sweden, where the author also lived for many years of his life. 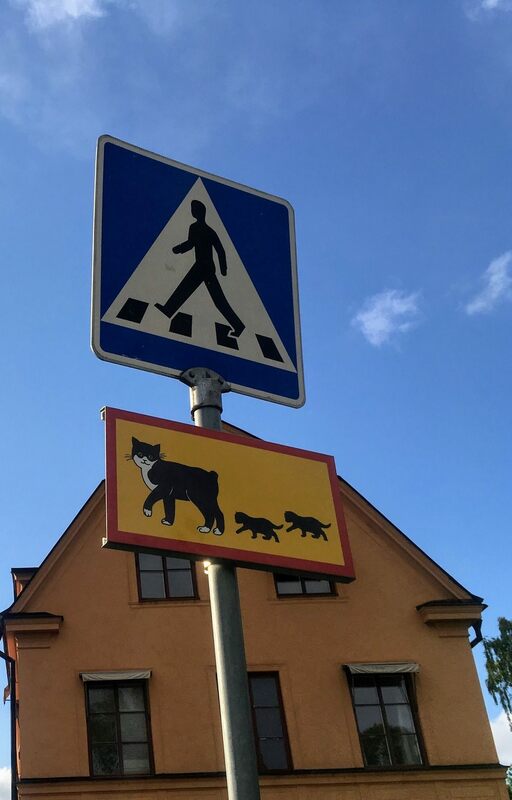 To mark the cat’s popularity, Uppsala added some features related to the children’s literature star around the city, such as a statue, a peep-hole (his residence), and these crossing signs. 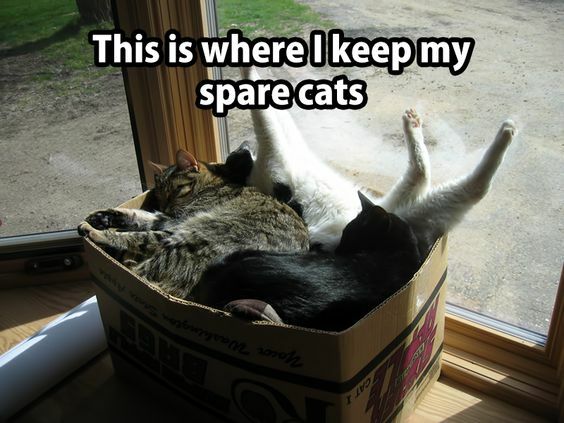 This entry was written by whyevolutionistrue and posted on March 23, 2019 at 9:00 am and filed under Caturday felids. Bookmark the permalink. Follow any comments here with the RSS feed for this post. Post a comment or leave a trackback: Trackback URL. Dog vs Cat (chapter 437) : clearly the cat’s staff has not been trained in silver service. 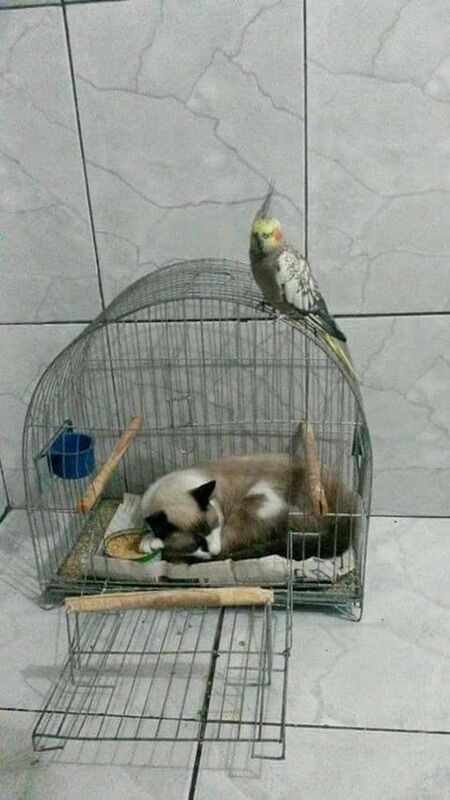 Bad hoomin! 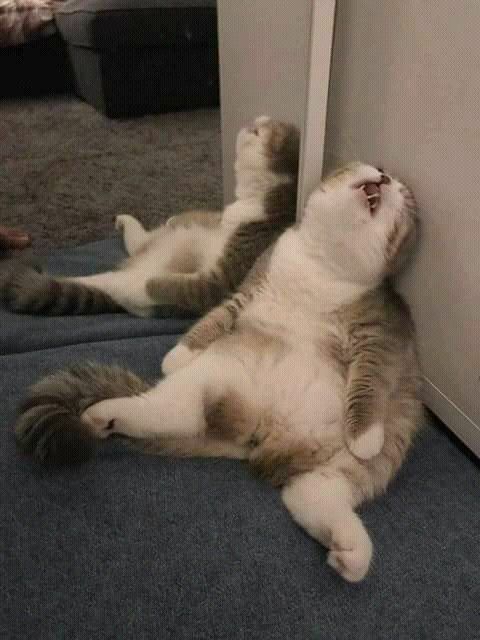 Thank Ceiling Cat! I thought there were going to be pictures of real cats whose servants had them tattooed. That would have been terrible. I’m glad it was a delightful Japanese art collection instead. 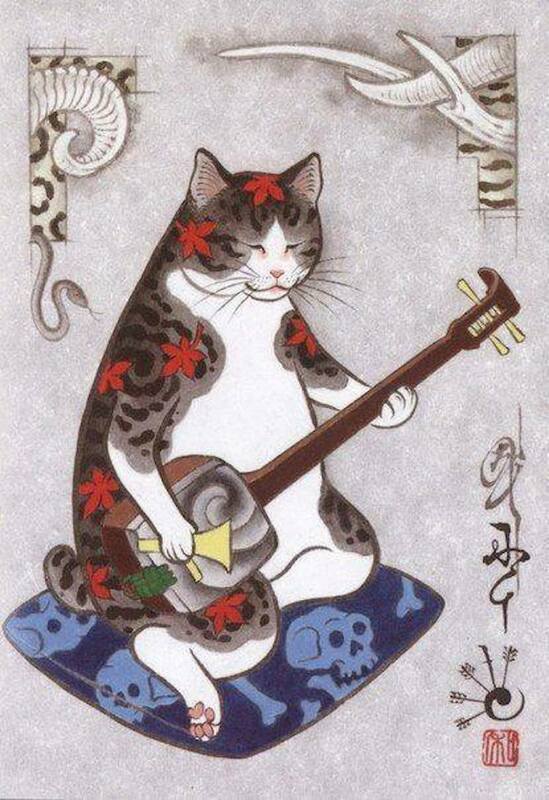 I really like the second picture, as the cat applying the tattoo looks like both a cat and a Samurai-era lord. There are nitwits who do tattoo their hairless cats. If you visit Uppsala in the summertime, you can join a Pelle Svanslös walking tour and be shown the places mentioned in the books. The main theme is always how Pelle outsmarts his adversary Måns (pronounced ‘mons’) who is clever but mean and has a long bushy tail. Måns inevitably falls into his own traps. Often his stupid agents Bill and Bull unwittingly aid Pelle to arrange that. These characters, as well as others, are said to be based on real people in the contemporary Uppsala academic world, so as well as a children’s book it is a satire that adults would have appreciated at the time they were published. Now forgotten, but as children’s tales they live on in books, films and television programmes. I read the books as a child, so nostalgically I like the old illustrations better than the modern ones. The cat girl Maja Gräddnos (‘Mary Cream-nose’, perhaps) is especially cute in that illustration. Re Jerry’s visits, I am sorry to hear they don’t tell *all* visitors about Uppsala’s finer culture! I’d also be confused and upset if you threw a piece of damp, weird smelling plastic on my face. 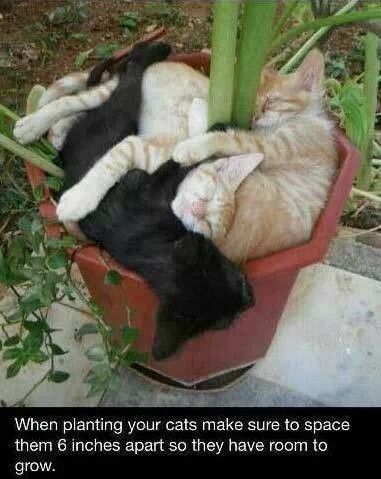 The sleeping cats and their captions are hilarious! 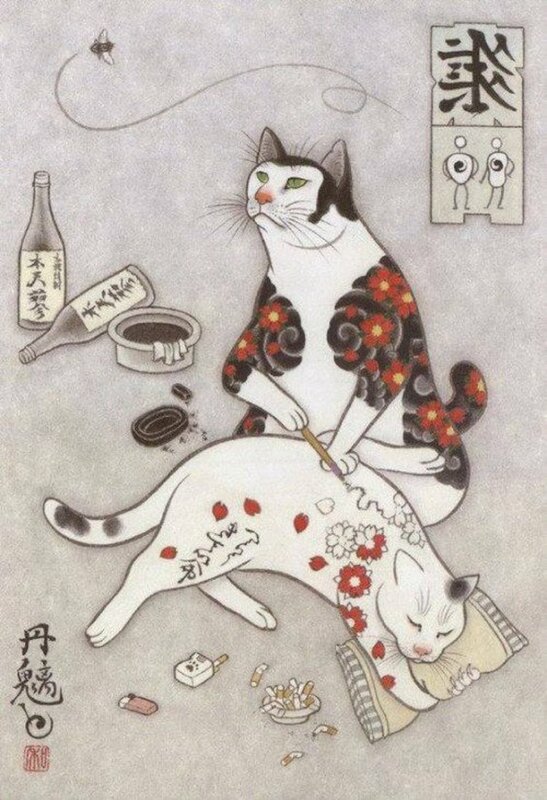 Those Japanese tattoo cat illustrations are remarkable. I love them. The photos are hilarious, and the video made me laugh out loud!